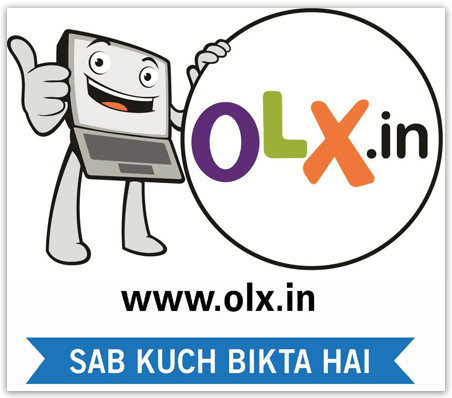 Most of the Indians might of surely came across OLX India name atleast once by seeing Ads in Newspaper, TV, Website, Blogs or Banners. Recent year OLX reached millions by its TV commercials.You must have seen Olx.in ads on your television with the slogan“Where Buyers Meet Sellers”, the catchy ads that show day-to-day activities which highlight the advantages and simplicity of advertising oneself in the largest free classified ads place worldwide. What is OLX All About? As I said before with OLX one can sell household things also and this advertisement highlights this part of OLX. Here the family gets rid of old household items to get a baby cot and accessories for the new member of their family. This advertisement is surely the funniest of all where the sons want to sell their desktop while their father remembers writing emails to his wife using it. Memories give way to a worthy offer and the signature ‘Bech De’ (Sell It!) says it all. This Ad is between the siblings where the younger one has got an offer on their old bike while the elder cherishes his memories with his ex-girlfriend on the bike. A lucrative offer on OLX is too hot to resist for the elder brother who gives out the famous one-liner ‘Bech De’ (Sell It!). In this campaign, three generations of a family are travelling in a car where the two grandsons want to sell their grandpa’s old car while the grandfather talks about memories associated with the car. A good offer and grandfather hands over the keys to his grandsons and gets into an auto rickshaw!